While a rather “Chinese” offering as prasad, submerged temples, a gurudwara for airplanes and a parikrma for visas may not feature on your ordinary religious circuit, there are more than one reasons why you should visit these queer instances of religion anyway. Holidify picks out the strangest of these for you. There are one too many temples in Varanasi to keep you on your toes but only a few that’d catch you by surprise. One such instance might be when you catch the main deity sipping on to the wine you just offered it. 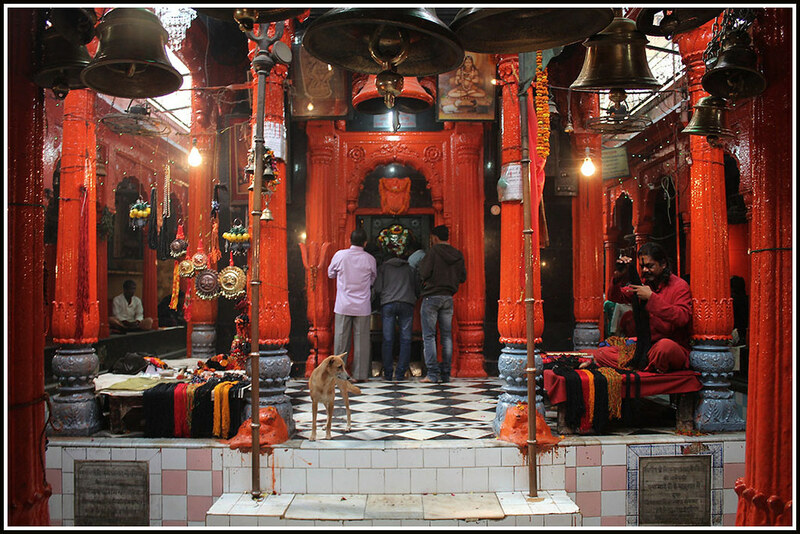 That’s just a regular day at Kala Bhairav temple, where not only is wine offered as prasad but the idol is also believed to gulp down some occasionally. 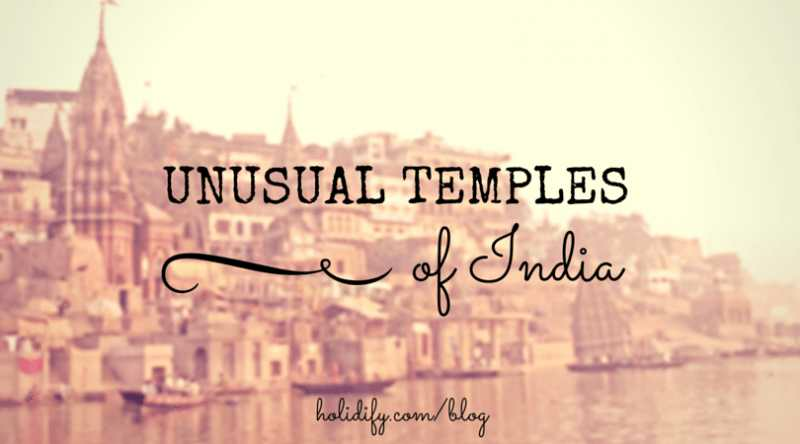 It’s only fair that the spiritual capital of India has its own share of strange temples. This one has quite a spot by the Ganges, and occasionally IN the Ganges. Though the temple remains abandoned, it makes quite the scenery. One of the most popular temples in the region, this one has been flabbergasting the pest control for a while now. With rats all over the temple, the prasad and everywhere else, the Karni Mata temple has more than one legends to explain. Folklore has it that when an army of about 20,000, left the battle and came to Karni Mata, she though spared them life in spite of the sin of desertion, turned them into rats and let them have the temple as their place to stay. Having leftovers by rats as prasad is considered lucky and in case a rat is killed, the same must be replaced by a gold one. When Ladoos and Halwa seem to mainstream for prasad, it’s probably your calling to Chinese Kali temple in Kolkata where noodles, chopsuey, rice etc are the way to have your wishes granted. It’s not everywhere in India where Ravana is set to flames each year on Dussera. In a certain village in Madhya Pradesh, there is quite a debate. 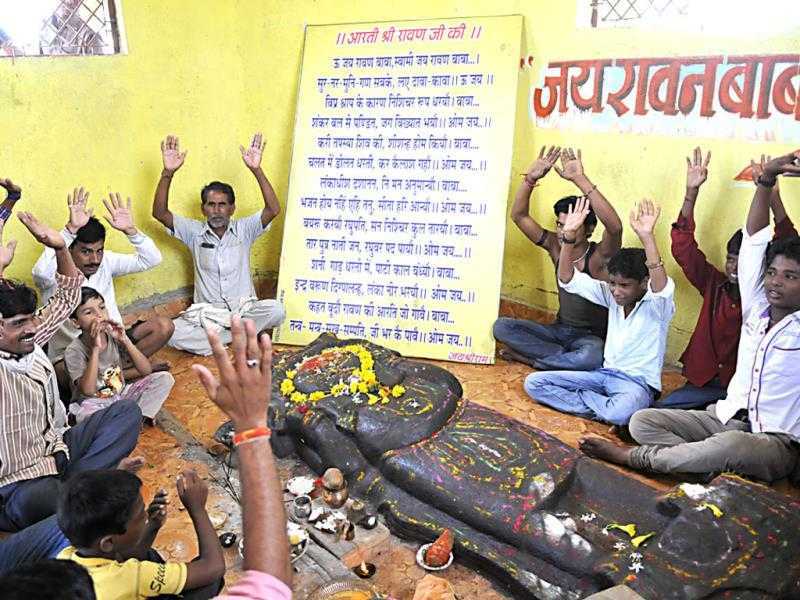 Villagers here worship Ravana, seek his blessings for religious and auspicious ceremonies and pray and respect him for the great warrior and learned man that they believe him to be. God does seem to reside in everyday, mundane and trivial things. One such thing is a US Visa. If you are having trouble getting pass the Visa Office, it’s probably because you haven’t done your bit at the Visa Temple yet. This one is known to have granted countless US visa wishes and continues to be a shining ray of hope for many others. It’s not every day that you temple disappears into the sea and reappears when high tides wash away. While you are here, make sure you don’t only visit it during the low tide but wait to watch the high tides take over the temple, bit by bit. If there is a Visa temple, there must be an Airplane Gurudwara somewhere here. 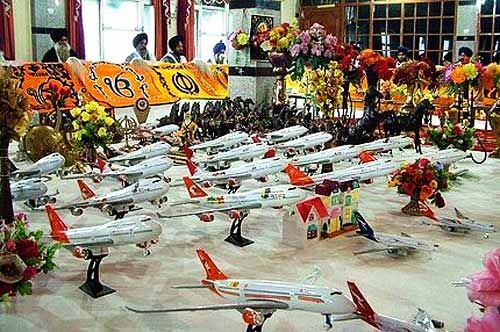 Shaheed Baba Nihal Singh Gurdwara is where you must offer an airplane toy to have your wish of going abroad granted. 13 Seaports in India That You Didn't Know You Could Visit! Splash! : 18 Best Water Parks in India to Travel to this Summer!